I am a member of the Willamette Valley French Bulldog Club, and a member of the French Bulldog Club of America. I am also a member in good standing with the AKC. Welcome to Frenchesca's French Bulldogs. 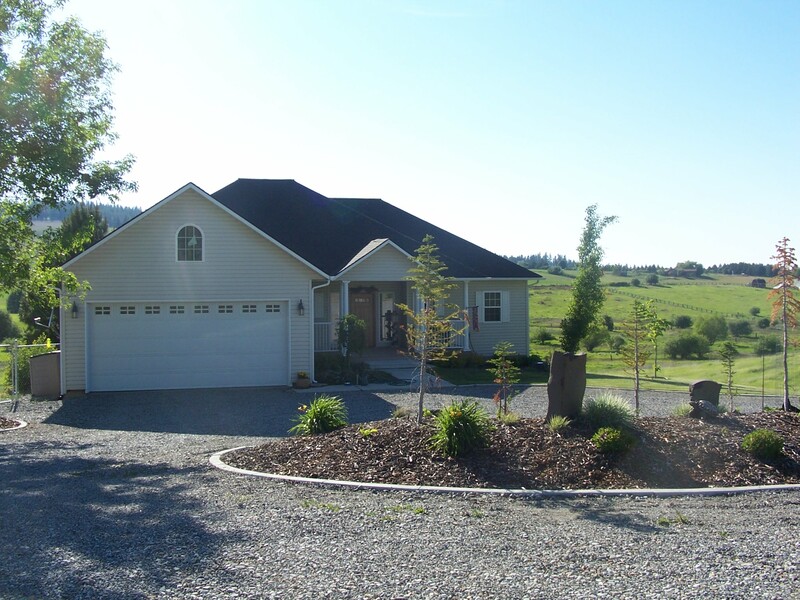 We are located on eleven acres in beautiful Greenacres Washington. My name is Jamie and I have been involved in dogs all my life. I started in the grooming business when I was 14 years old, and have owned my own business for over 17 years. I have shown standard poodles in both conformation and obedience. 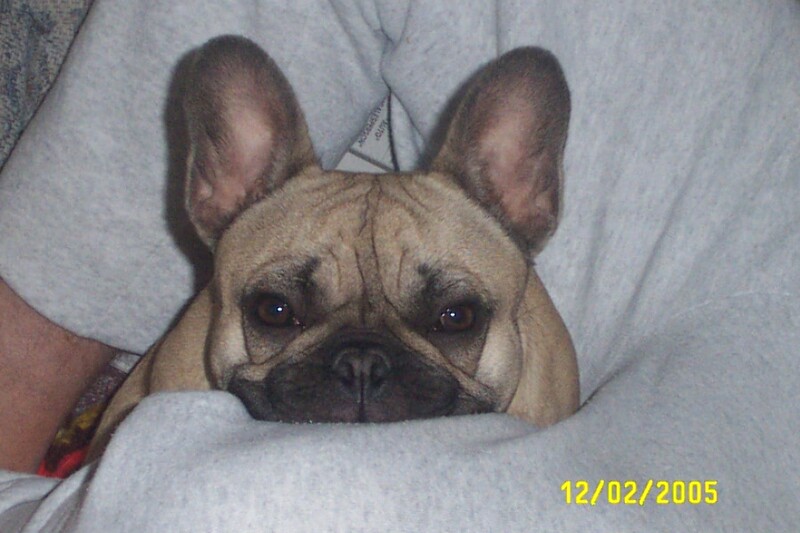 I fell in love with frenchies many years ago, and got Bunnie in March of 2005. 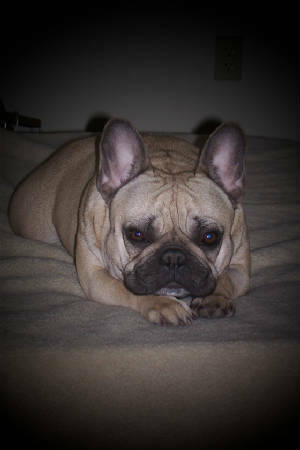 Bunnie is my first french bulldog, and the love of my life. She comes from Lionheart French Bulldogs in Tennessee. She has had limited showing and got a BOS in Coeur d'ALene, ID in 2005, and placed fourth in a very large puppy class at the Regional Specialty in Sacramento in Oct. of 2005. I am very proud of this beautiful girl. 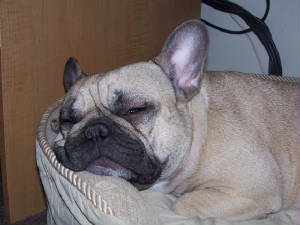 I am commited to producing quality and healthy french bulldogs with wonderful personalities. Puppies will be raised in a nurturing home environment with the best of care. They will be raw fed upon weaning with limited vaccines. I support a holisitic approach to my dogs and will use natural or alternative treatment options in the care of my dogs. Disposition is just as important as health in my breeding program.